In-Depth: What’s the Best Backup Scheme and Strategy? Incremental backups, differential backups, local, network, and cloud. Then there are full backup, backups using deduplication, encryption, compression, or no processing at all. what sorts of data do we have? • what is the total data volume we have in GBs? • how much of it is static? • how much data is being added daily? By whom? Why? • can we group data into chunks based on importance? • what are the labor costs in case there’s downtime? • in contrast to that, how costly is storage and hardware? • are there alternative types of storage that are cheaper / faster / more reliable than the ones currently used? • how much time do we have to complete a daily backup? • which groups of data should we back up hourly, daily, weekly, and monthly? • how many TB or GB per day need to be backed up? 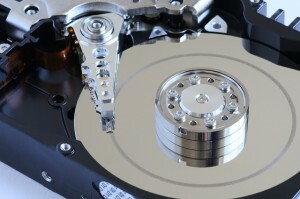 When you dig into the details, you quickly discover, backups aren’t as trivial as they seem. Yes, we could just ‘back up everything’…but how often? Where? Why? Who? And, what exactly should be backed up anyways? When you have tons of TB of data, careful planning is necessary or you would either waste a lot of resources backing things up too often or unnecessarily, or some sections of the data might slip through and not get backed up at all. Naturally every backup strategy needs to be customized to suit your needs and to ensure every piece of data receives the backup process it deserves. If you are looking into setting up a Hyper-V Backup Strategy, you may also want to consider how deduplication may help reduce resource usage and minimize long-term storage costs. As I spend a lot of time with Hyper-V backup optimization, I get to work on various Hyper-V backup strategies. Feel free to connect if you are planning a new Hyper-V environment.